The savannah in the Explore universe has several different seesaws. When children rock back and forth, they are experimenting with gravity and balance while subconsciously training their large muscle groups. It’s not easy to rock alone, so having a go on a seesaw also requires using your collaborative skills. In this way, playing on the seesaw with friends is a fun and constructive activity where social and linguistic skills are put to the test. There are seesaws for two, four and more children, so daredevils will definitely enjoy themselves, whichever seesaw you choose. It’s fun to rock, but it’s also important. Keeping a seesaw rocking exercises the whole body. 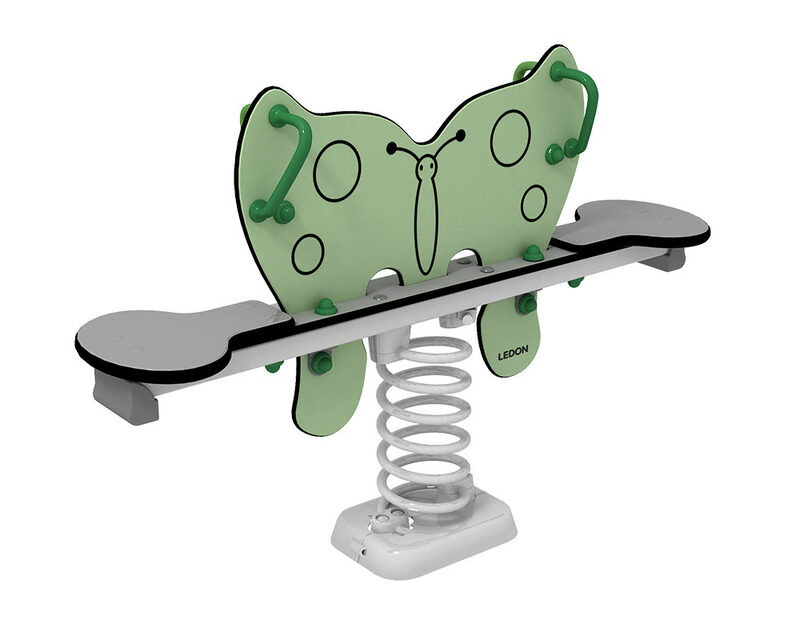 It is physically healthy and is good for proprioception. Rocking back and forth also stimulates the vestibular sense, which strengthens balance and learning skills. 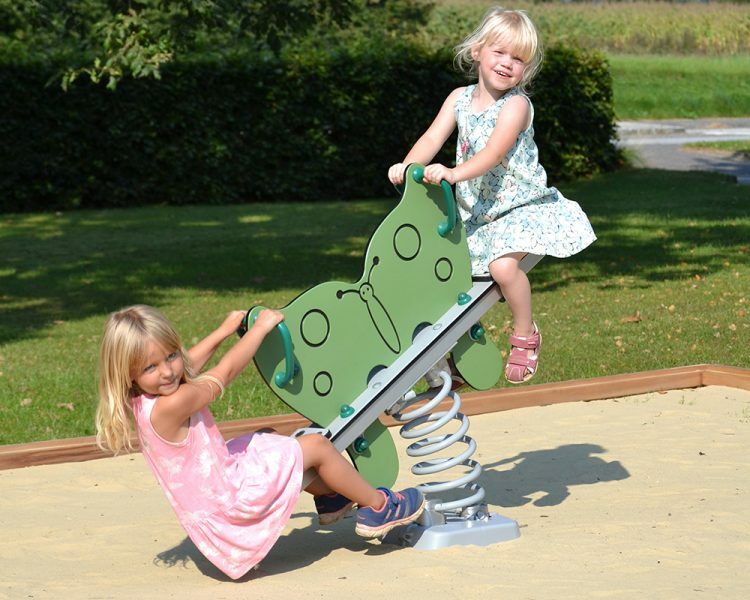 All LEDON Explore seesaws are maintenance-free and are designed with non-slip seats. The ergonomic nylon handles minimise the risk of eye and dental injuries, while also ensuring that small fingers do not stick to the surfaces in freezing weather.